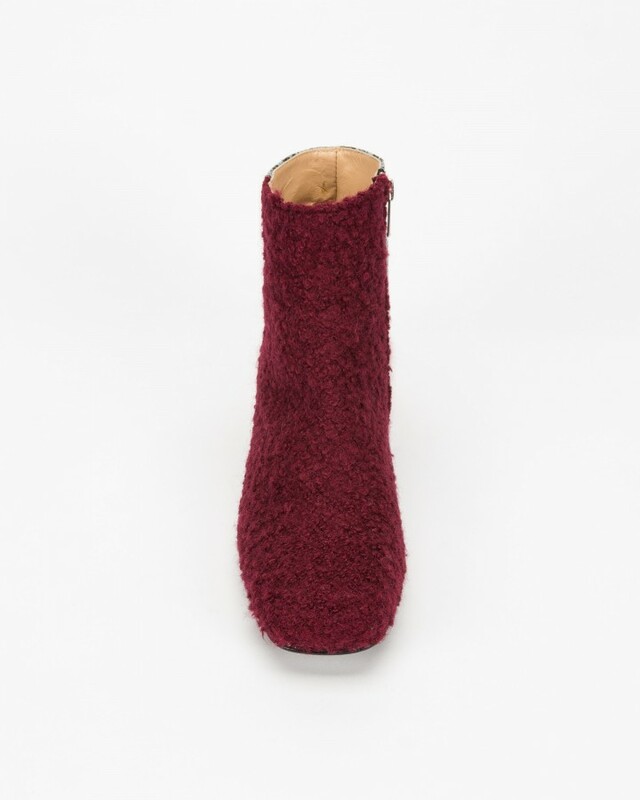 Leo booties for women in burgundy fabric and blue synthetic. Leather insole, lining and synthetic sole. 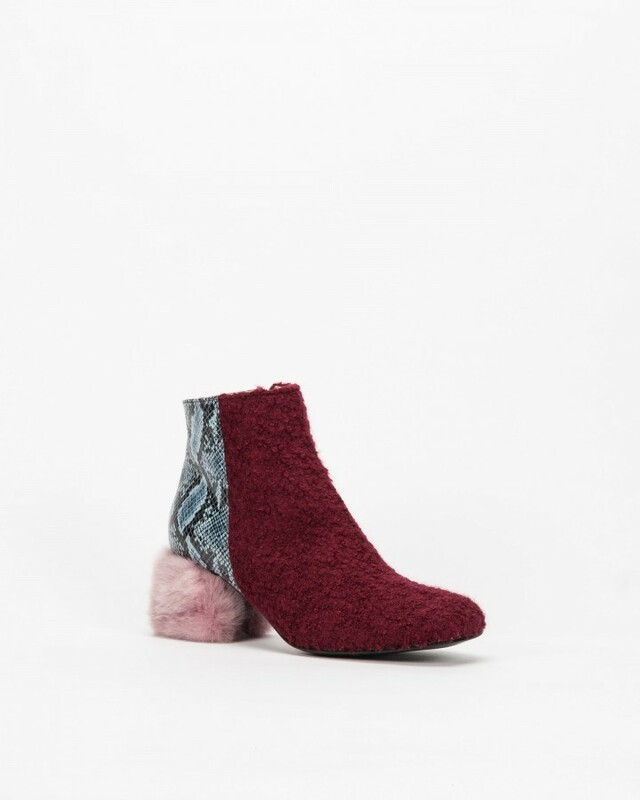 6 cm pink fur medium heel. Inside zip.